Eastern Europeans love smoked or brined fish and that has been the case for centuries. This classy-yet-easy dish of smoked salmon and asparagus easily can pass as an appetizer, brunch dish, salad or light lunch. Brined salmon like lox can be substituted for the smoked salmon which despite being tasty, should never be taken as an appetizer. Furthermore, this appetizer is very easy to cook. It gets prepared in just ten minutes, takes the same amount of time (that is ten minutes) to cook. So just twenty minutes in the kitchen and there you have it! One of the tastiest appetizers that Eastern Europeans simply love! Ingredients for the Salmon Roll Appetizer are not hard to find either. All you need to have is asparagus spears, smoked salmon, cucumber, red onion, red pepper, lemon juice, lemon zest, honey, capers, fresh dill, olive oil, black pepper. Utensils: Plate, grill, knife, spoon, pan, jar, tray. Now that you have bought everything you need to, it’s time to cook this really delightful Eastern European delicacy/appetizer. First, cook the asparagus spears that you sliced and cool them. 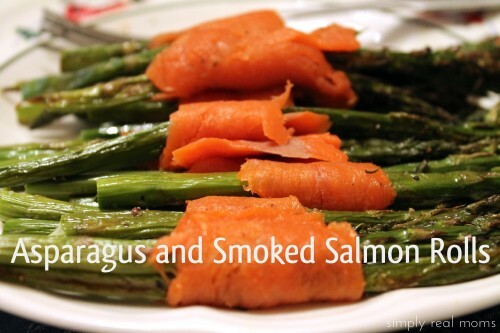 Then, wrap the centre of each of the asparagus spears with one slice of smoked salmon. Make sure that the salmon is smoked and not grilled. On each of the four chilled salad plates, arrange four asparagus spears on one side. Fan out four slices of cucumber on the opposite side of the salmon on each plate. Take chopped onion and red pepper and sprinkle them on the cucumber slices. Making Lemon-Dill Vinaigrette is easy. Just combine lemon juice, zest, honey, capers, dill and olive oil in a jar that is screw-top and shake the mixture well. Over the cucumbers on each plate, drizzle the vinaigrette and then garnish it with a twisted slice of lemon. There you have it! Your very own Salmon Roll Appetizer which you can serve to your guests or children if they are screaming for something to eat quickly.